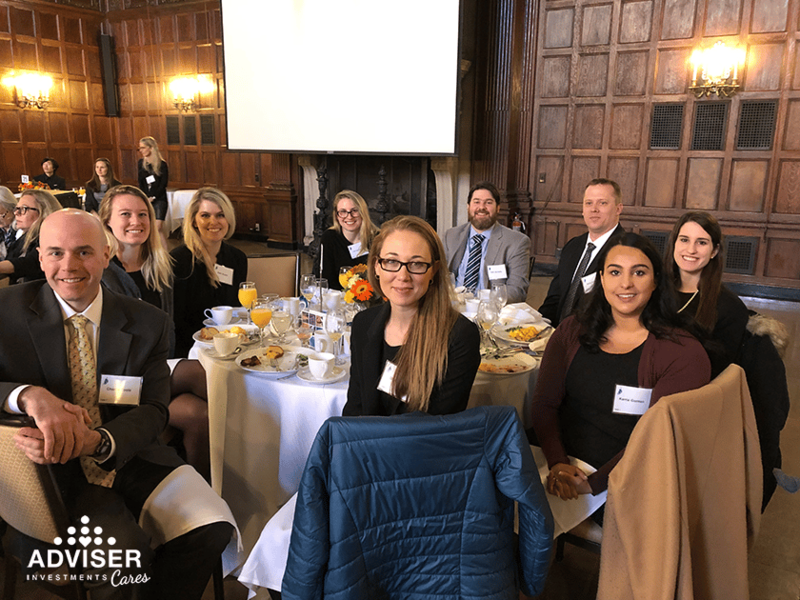 Several of our employees represented Adviser Investments at a “Leaders in STEM” (Science, Technology, Engineering and Math) event for the benefit of Prospect Hill Academy (PHA). PHA is a college preparatory public charter school that serves Boston area children in grades K through 12. This unique school’s statistics speak for themselves: 100% of PHA students who graduated in June 2018 matriculated to a four-year college the following fall—with the majority being the first in their families to do so). According to Pew Research Center, STEM employment within the United States has increased nearly 80% in the past three decades. Despite that growth, the U.S. Department of Labor notes that women and minority populations remain underrepresented within STEM-based careers. PHA is determined to improve those odds, and its innovative STEM curriculum and external partnerships offer unique learning opportunities and unprecedented support that extends far beyond the classroom. As some of the region’s most diverse and successful scholars, PHA’s students are also among the most in need of assistance: 71% of PHA’s student population qualifies for free or reduced-cost school meals. Recognizing the profound impact hunger has on learning, concerned PHA parents launched a grassroots initiative to address the need for food security. This reality inspired Adviser Investments’ Women in Wealth Management Initiative to assist PHA’s students through PHA’s THRIVE food program.